This is a special baby boy gift tag for my aesthetician who is actually being induced today! 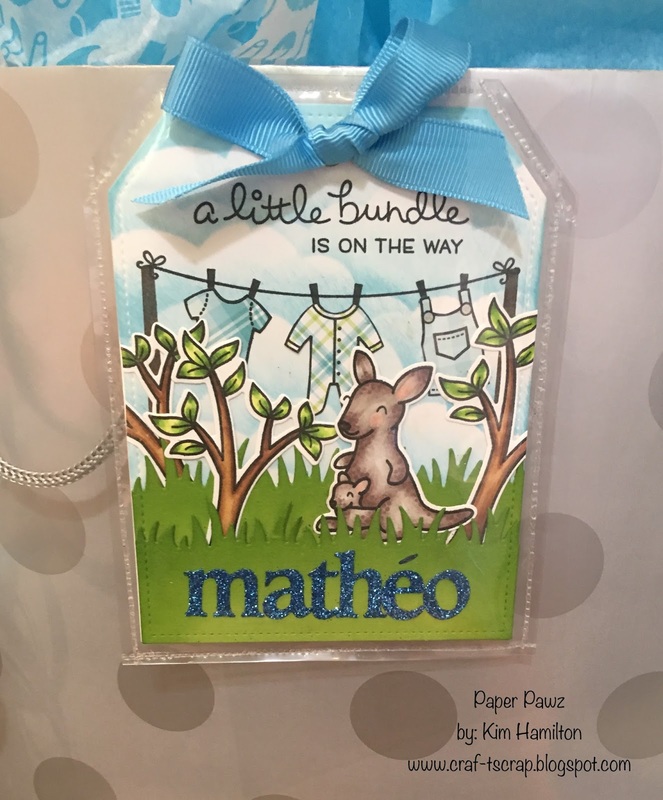 I used all Lawn Fawn products for this tag with the exception of the cloud stencil for the background by MFT and the Fuse tool in-case she wanted to keep the tag as a keepsake. I Copic colored my images and used some Distress inks on my blades of grass and for my clouds. I can't wait to hear from her when the baby comes!